Click on the link below to read the first two chapters. Life wasn’t easy for Laura growing up on the family ranch in Montana. Her father was a self-made man who loved his land above all else, a trait shared by her younger brother, Danny, who proved a natural where ranching was concerned. Expected to measure up, but never quite able, Laura grew alienated from her father. Although she remained close to her brother and mother, that bond wasn’t enough to keep her from leaving the ranch after her father accused her fiancé, Paul, of being more interested in the family’s money than Laura’s love. As the story opens, Danny has taken it upon himself to mend the two-year rift by inviting Laura and Paul to the ranch for Christmas. The family reunion takes an unexpected turn on Christmas Eve when Danny and Mom are caught in a blizzard during a return shopping trip through the mountains. Mom’s philosophy that everything happens for a reason is put to the ultimate test when Laura and her father face their demons together. Meanwhile, Paul is caught in the crossfire. As developments unfold, Laura looks back on her decisions and realizes there is plenty of blame to go around. 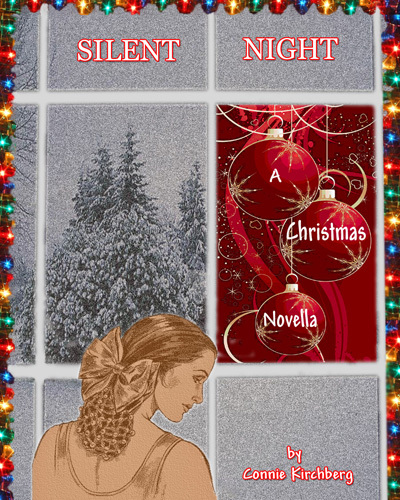 Note: Silent Night is an old fashioned family drama along the lines of Family (the TV series from the 1970s). For those of you too young to remember that wonderful show, think Judging Amy and The Gilmore Girls. Or just about any Hallmark Hall of Fame. It also happens to be a prequel to my mystery thriller, The Program Effect. First two chapters are very down to earth and also can tell the writer of this story used very down to earth writing techniques like creativity and wanting the reader wanting to know what is going to happen next. I hope I get a chance to read whole story soon. Thank you for sharing some of story with me.